"TOP URGENT!!! 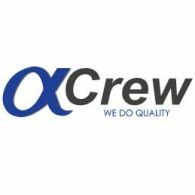 - 3E - AHTS DP2 - 75 USD p/d Position: 3E Vessel: AHTS DP2 Salary: 75 USD p/d Duration: 3 months Embarkation: end of September Requirements: - Good English, - DP Maintenance To apply for this position, please, follow this link: https://my.alphacrew.com/job/4794 email: cv@alphacrew.com Tel: +380482371957 ext. 104"